So I'm using my 45# fishing bow and trying to learn enough to actually hunt with one. I have a variety of arrows that I own that are "junk" arrows to me. In other words the ones on my compound bow are the ones I hunt with currently. So I noticed arrows with the long fletching don't seem to be as accurate (to me at least) than those with the short fletching. I have some arrows that came with my first bow ever, that I have refletched them with Bohning Quick Fletch They seem to be just fine. They are old carbon arrows that were too short for me (it was a preowned bow). They are fine with the stick bow. Not enough info. Need more information about the arrows you are shooting. I guess i mean what do you guys shoot? My bows like 500 spine shafts. I use both 4 and 5 inch feathers but will be using 4s when the 5s are gone. I shoot GT with 175 gr points. I have some Gold Tip Traditional Carbon shafts in 500 spine. I’m in the process( too many projects ) of going too wooden shafts. 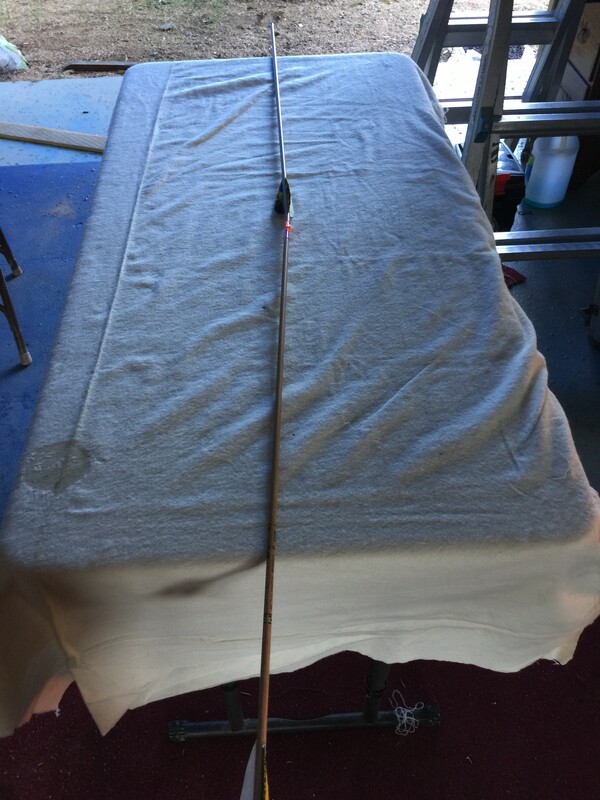 I ordered a dozen 11/32” dia Oxford Cedar shafts and here is the first completed arrow. I haven’t completely ruled it out as I have made the call to my local Wardens yet. Location: North of Al. & South of Ky.
Atchman2 wrote: I guess i mean what do you guys shoot? If shooting off the shelf, you may want to try feather type fletching. Plastic vanes be fine if using a rest or whisker biscuit though. Vanes off the shelf will probably not be very accurate.